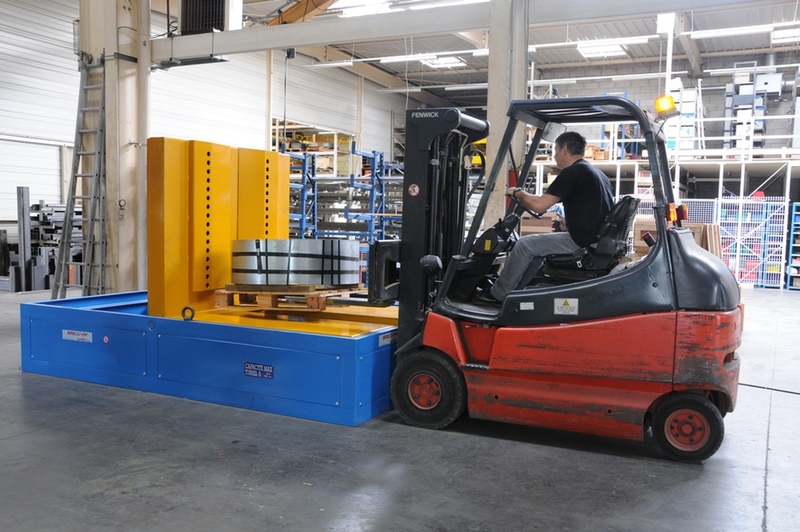 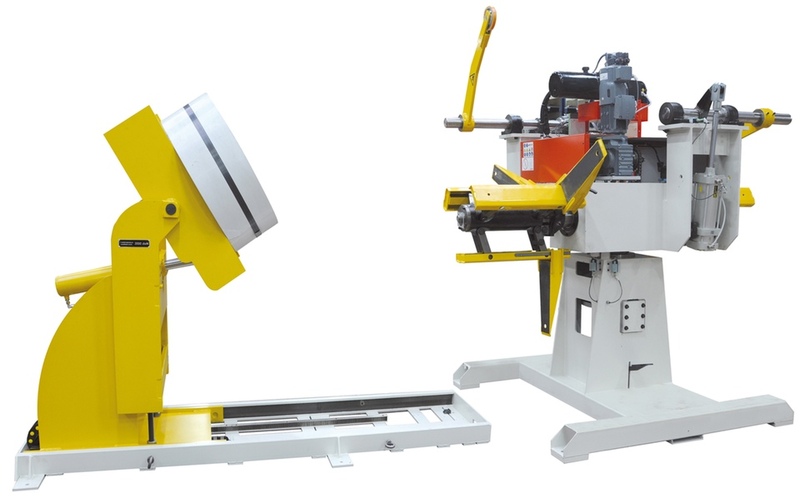 Coil loading and unloading can be as difficult and unsafe as tool loading, then using our 20 years experience in quick die change , we have developed specific solutions to handle coils. 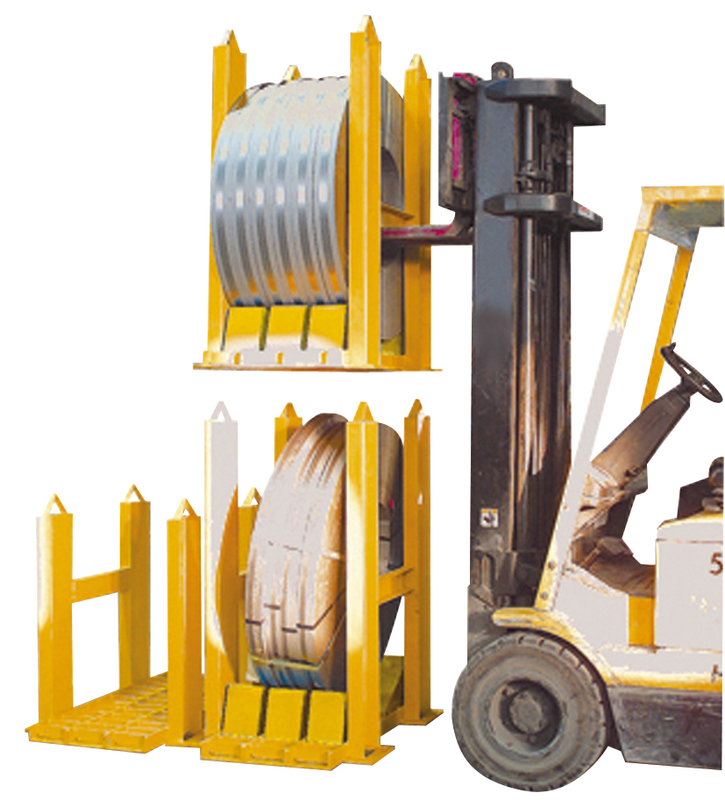 Coil loading and unloading operations are achieved through a controlled process. 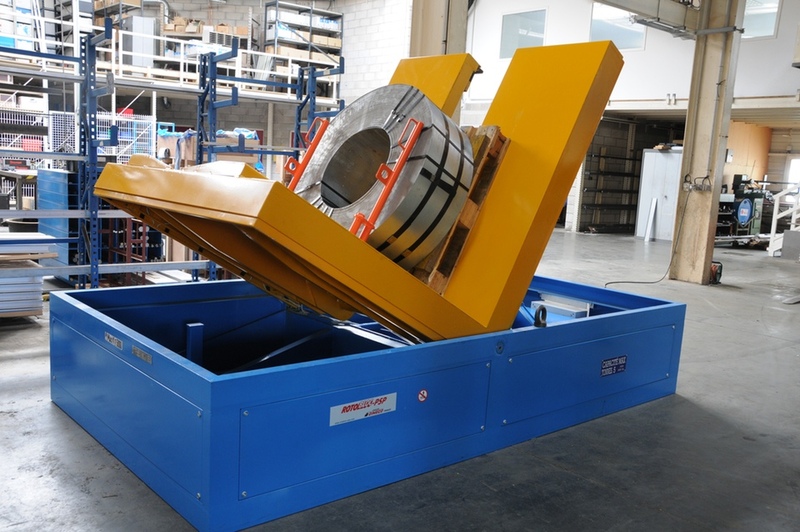 Controlled coil loading process avoids material waste. 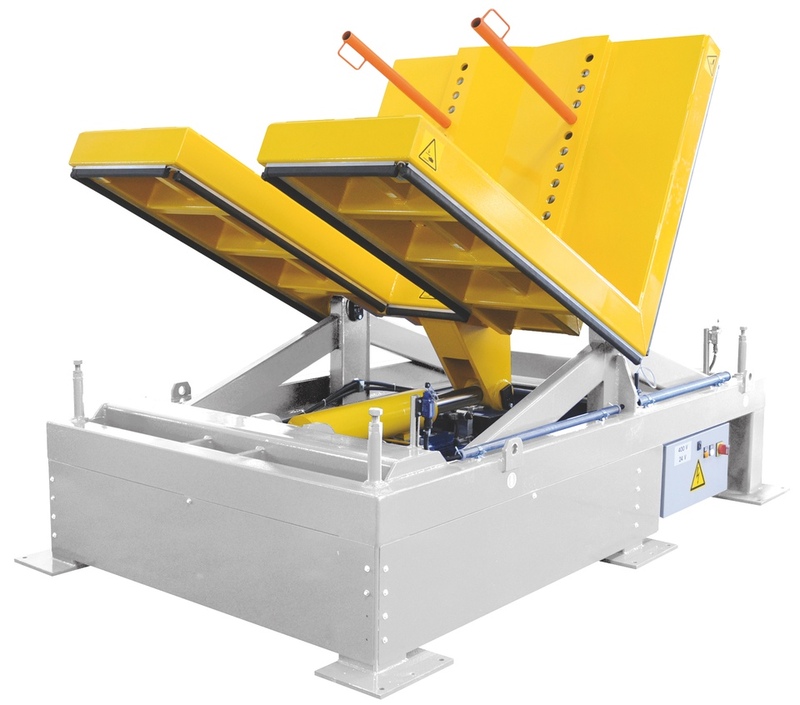 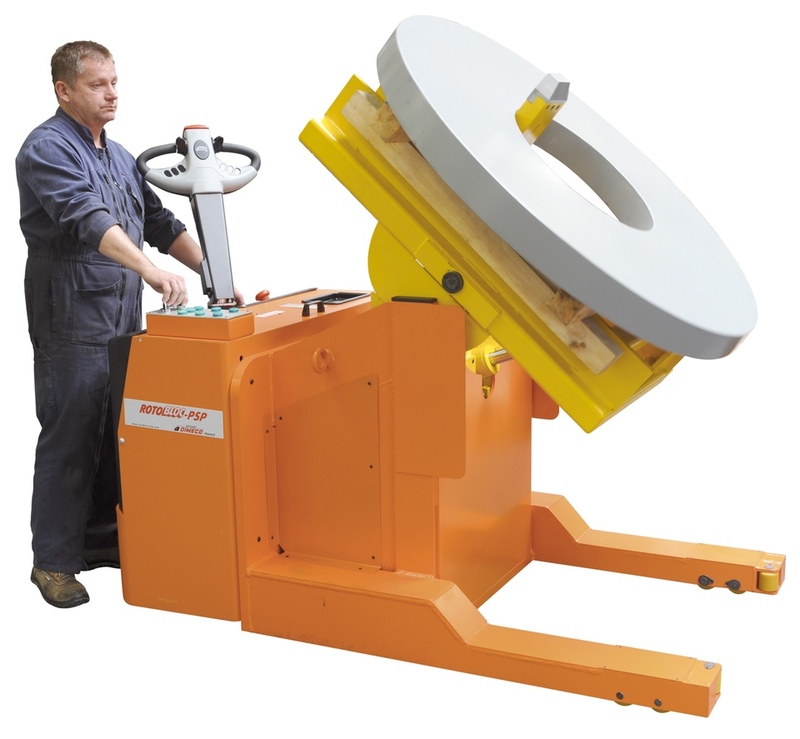 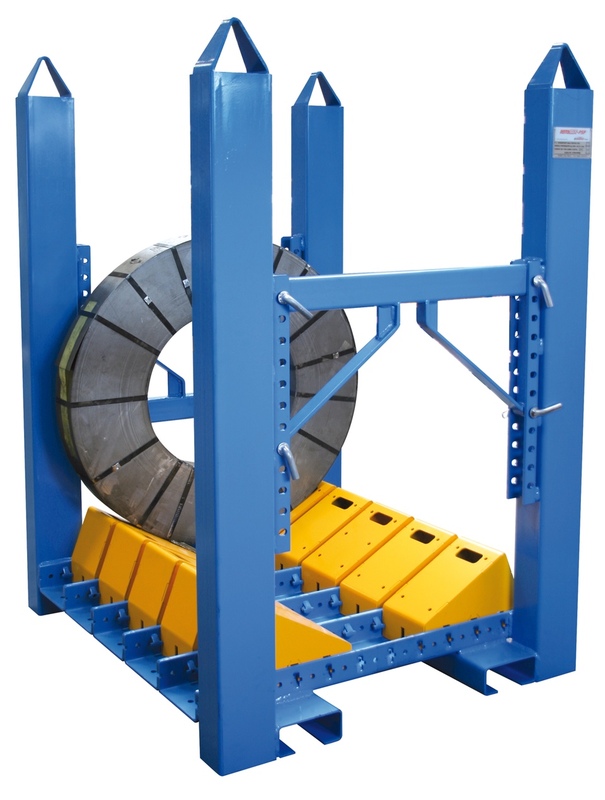 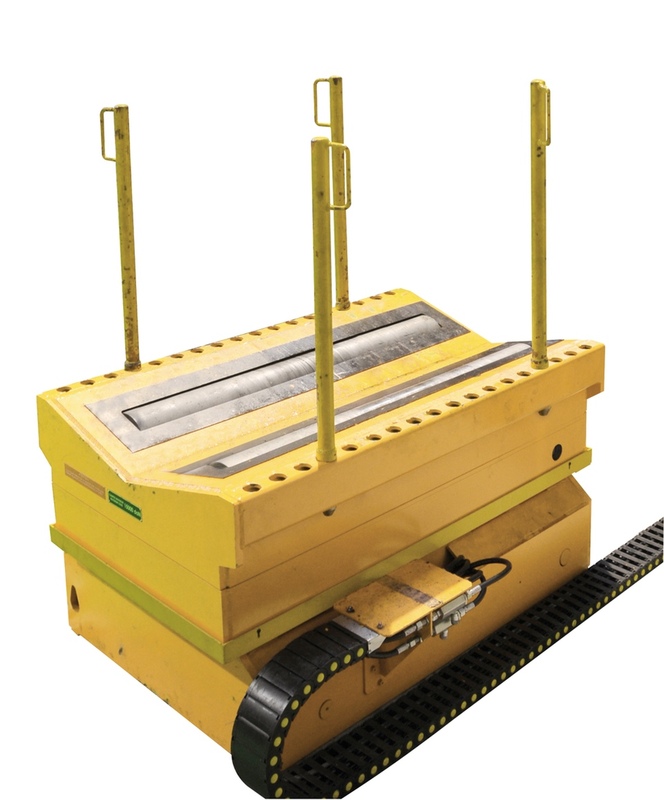 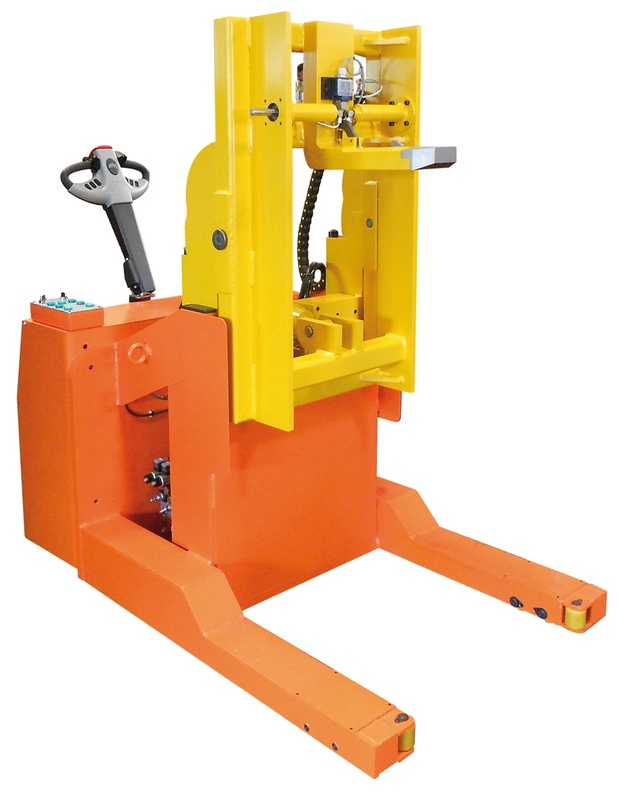 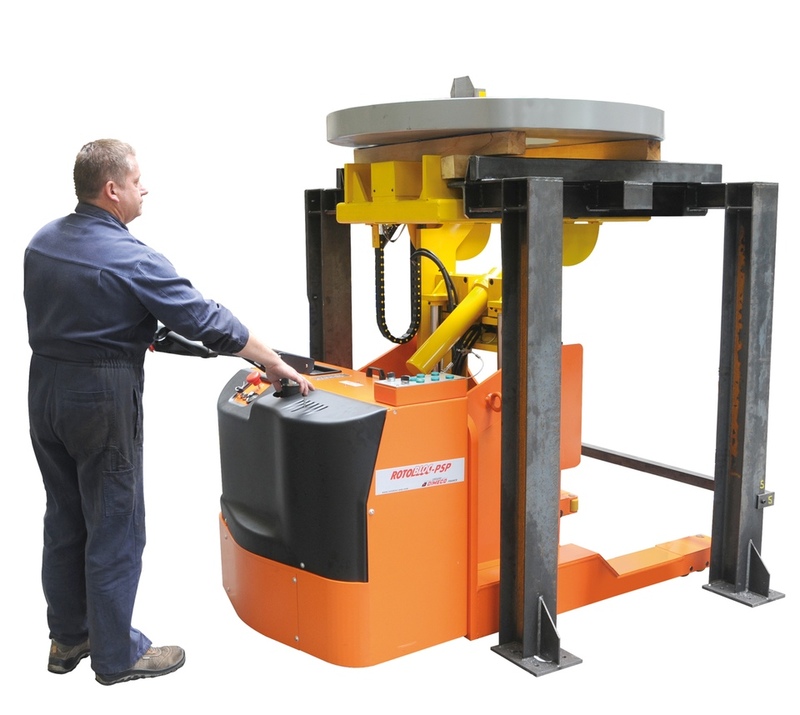 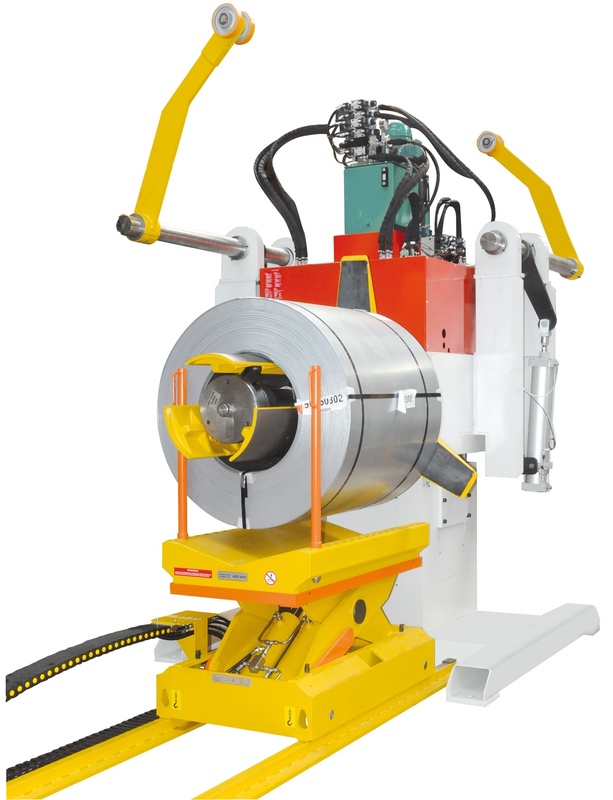 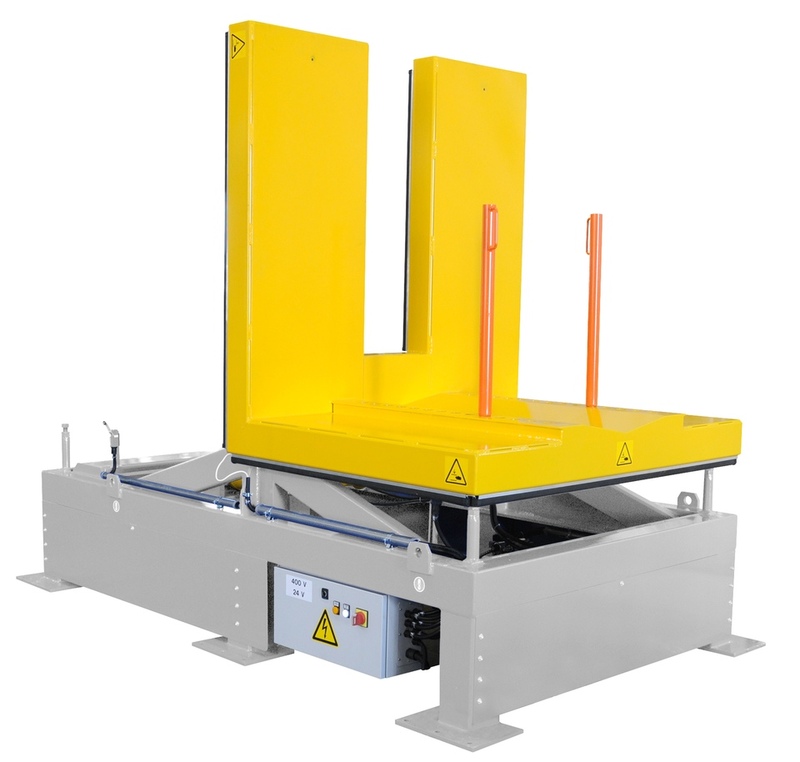 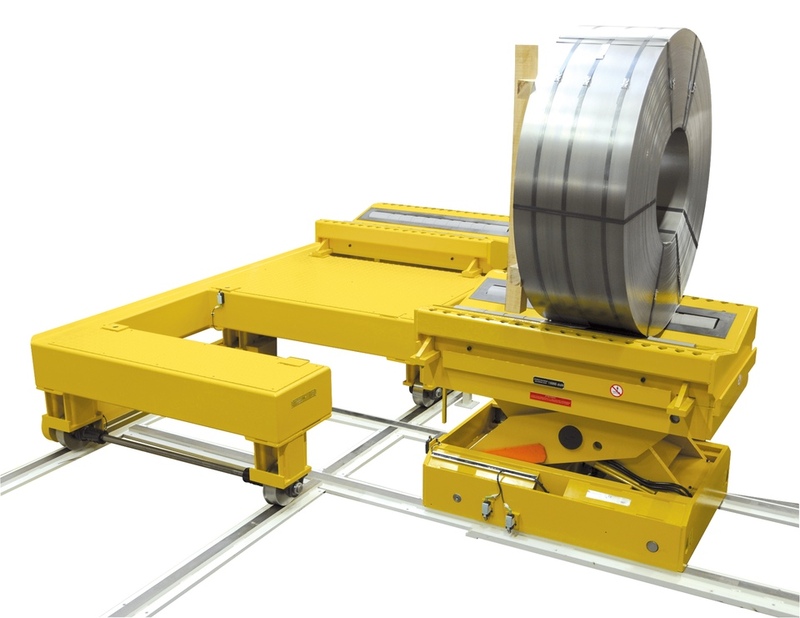 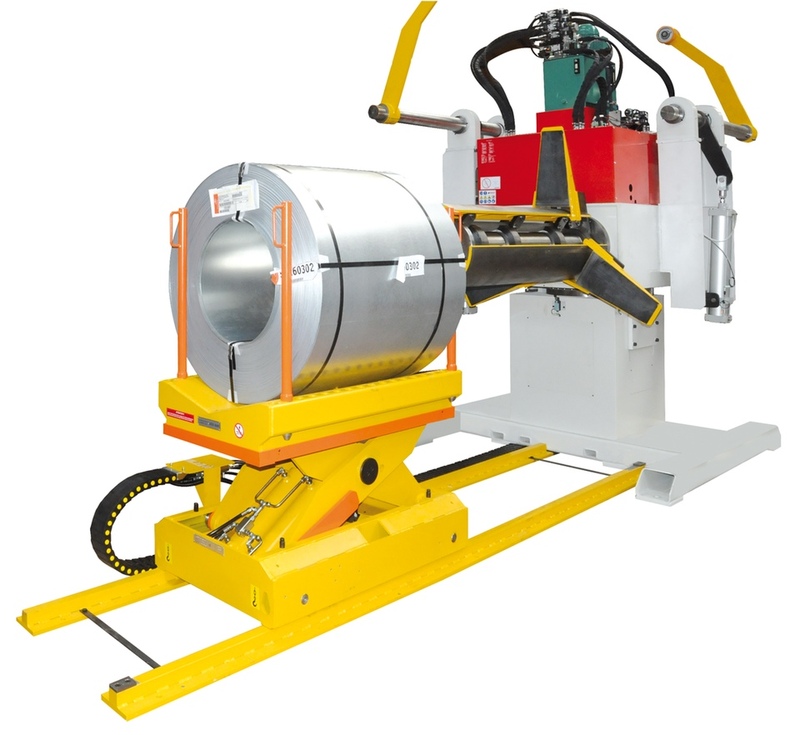 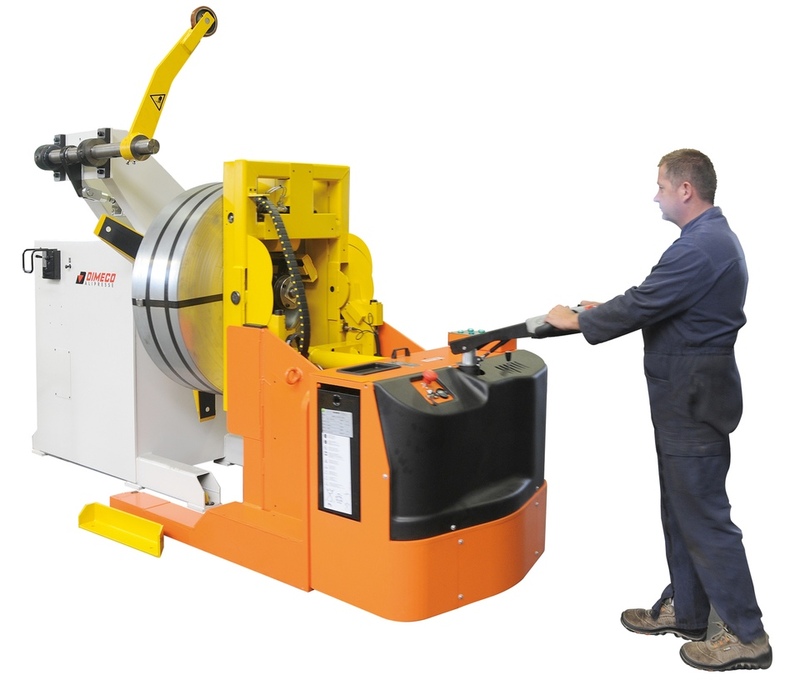 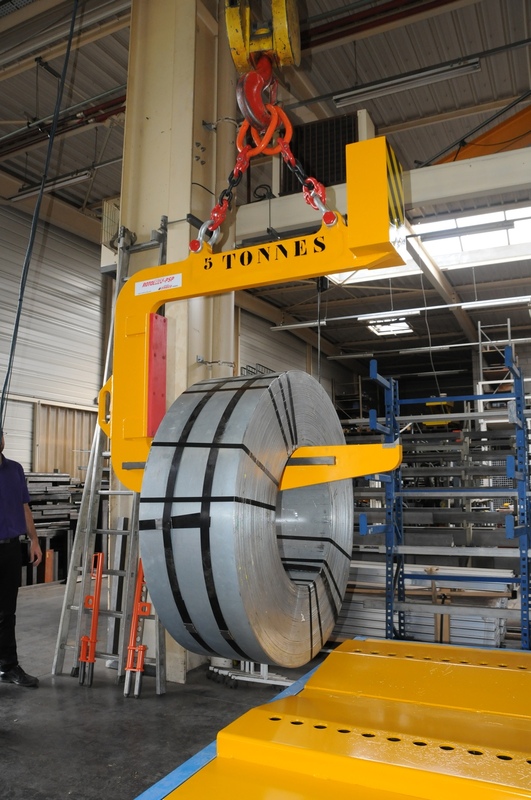 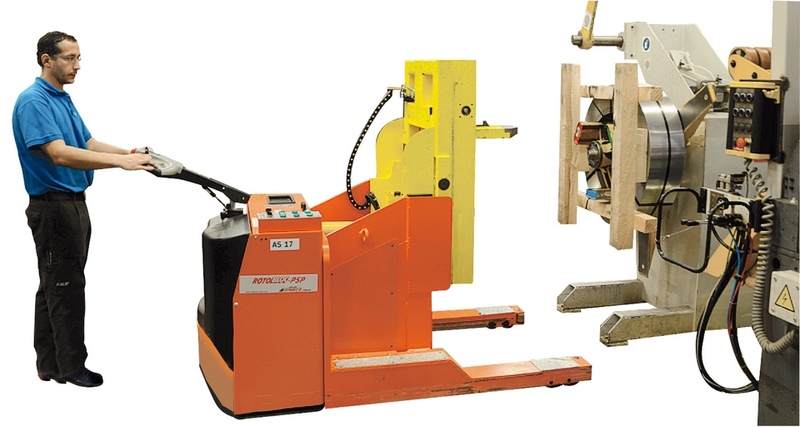 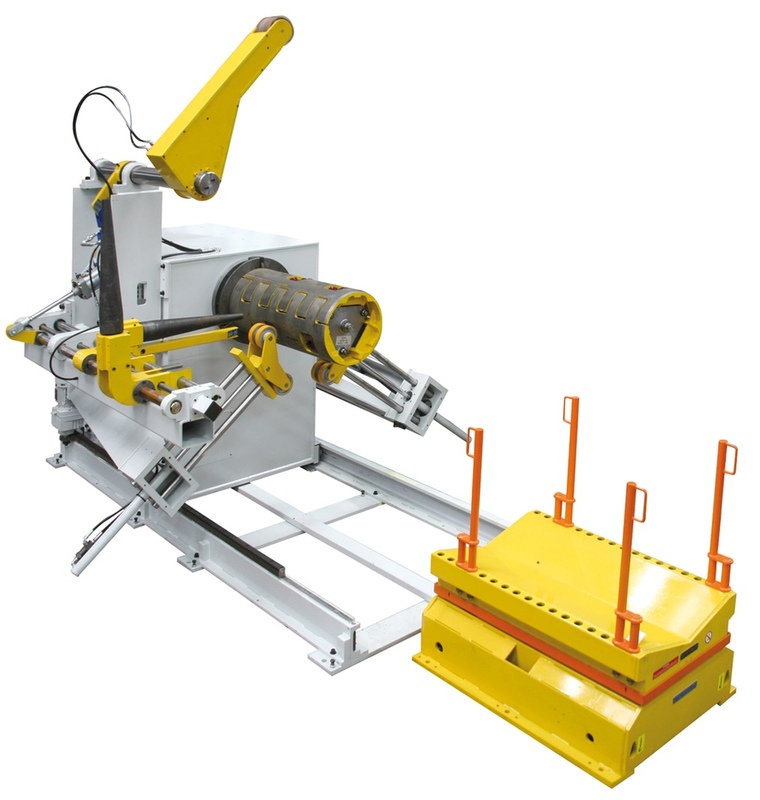 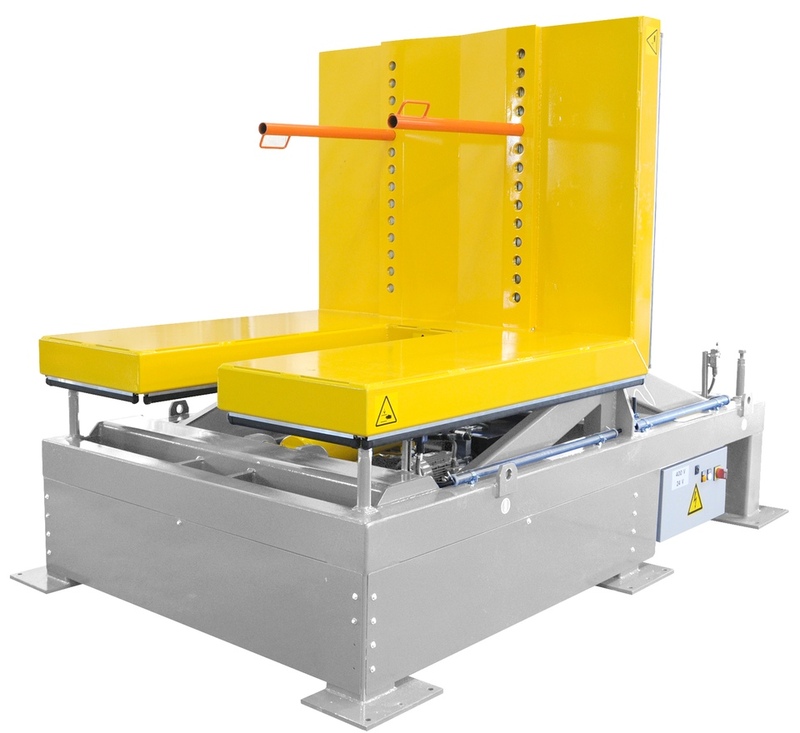 Controlled coil loading process provides 100% operator safety by removing manual actions. 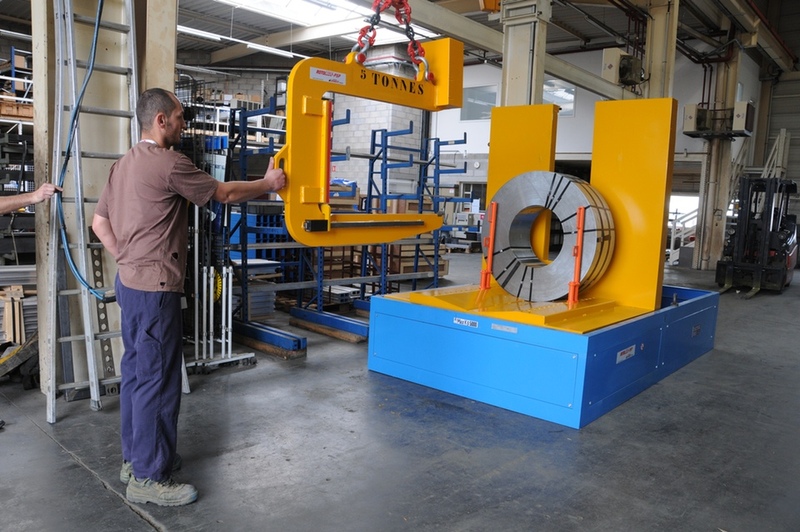 Coil tilting operation is fully controlled : safety is improved. 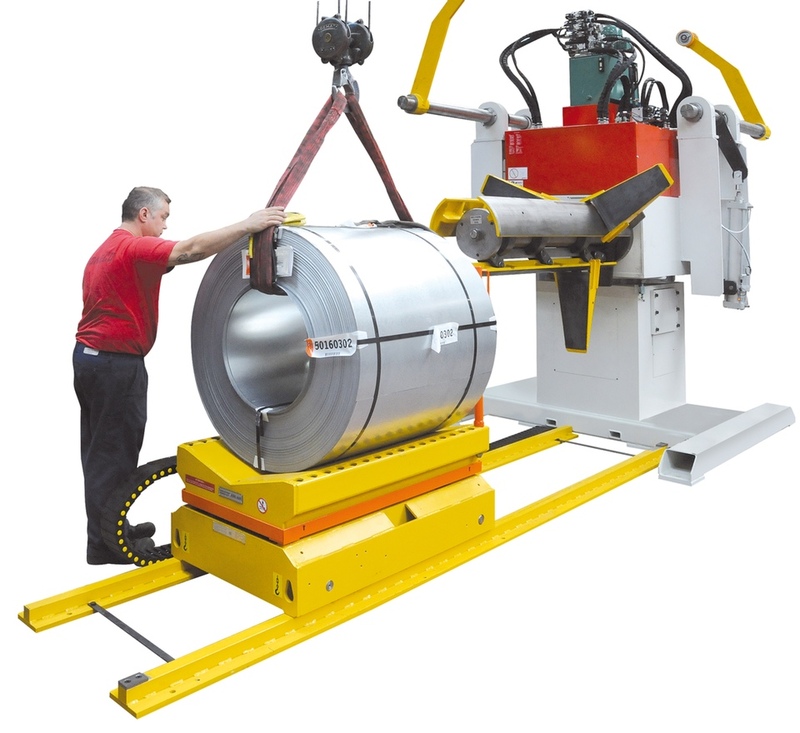 Coil tilting is achieved without damaging the inside or outside of coils : coil quality is fully preserved. 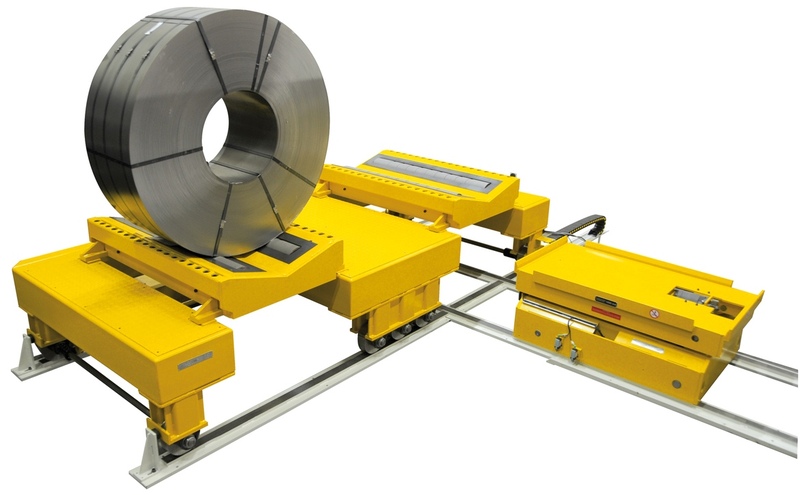 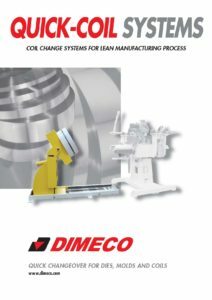 Dedicated solution for single production line optimization. 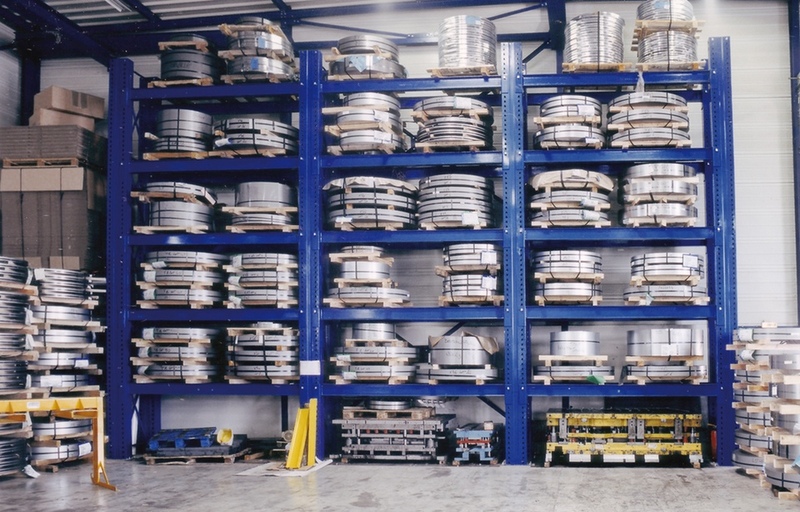 Coil supply to the line is achieved while the press line runs. Eye-to-wall coil is unloaded by a crane or a pin truck. 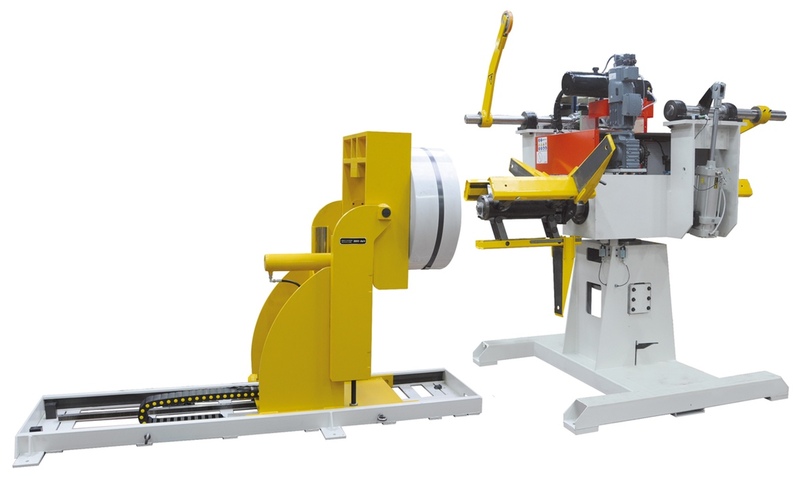 Coil loading operation is achieved while the line works. 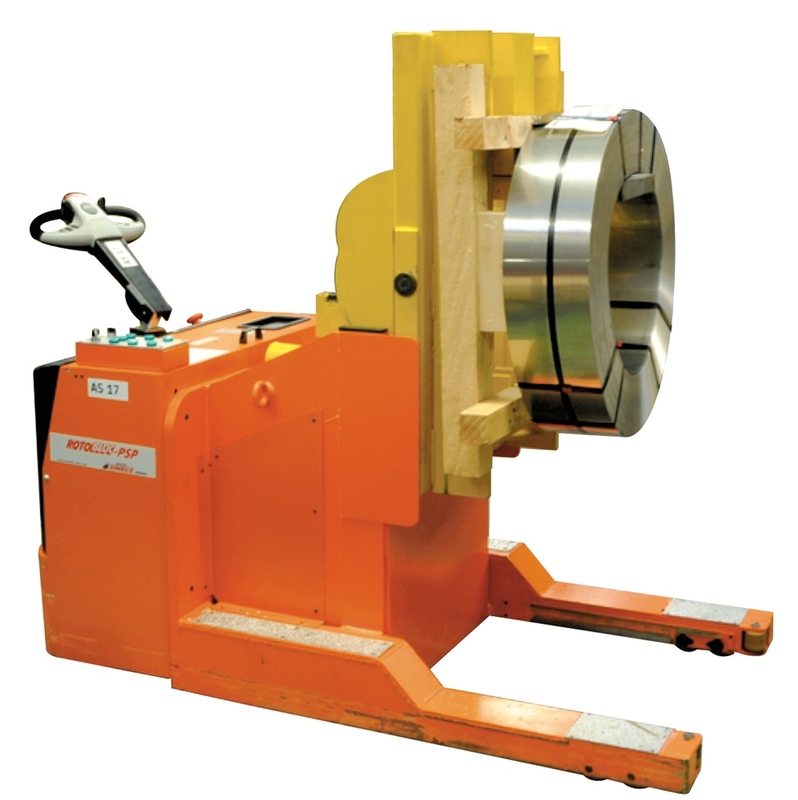 Thanks to the hydraulic elevation, the loading “V” facilitates the coil insertion onto the decoiler mandrel. 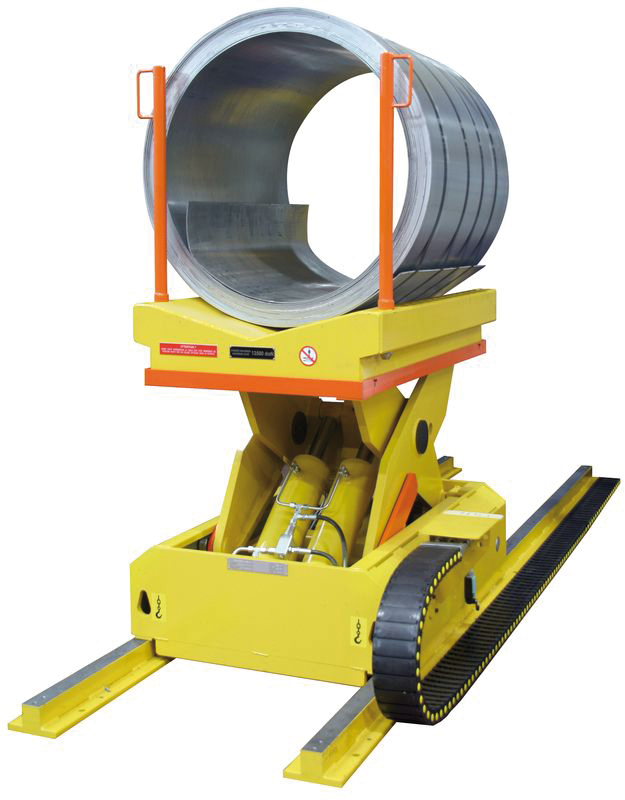 Large elevation stroke allows to load and unload small and big coils. 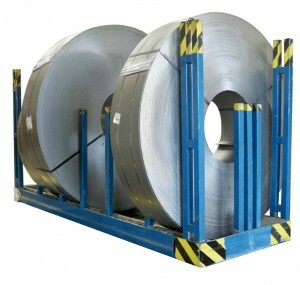 Several coils are permanently available for the production line. 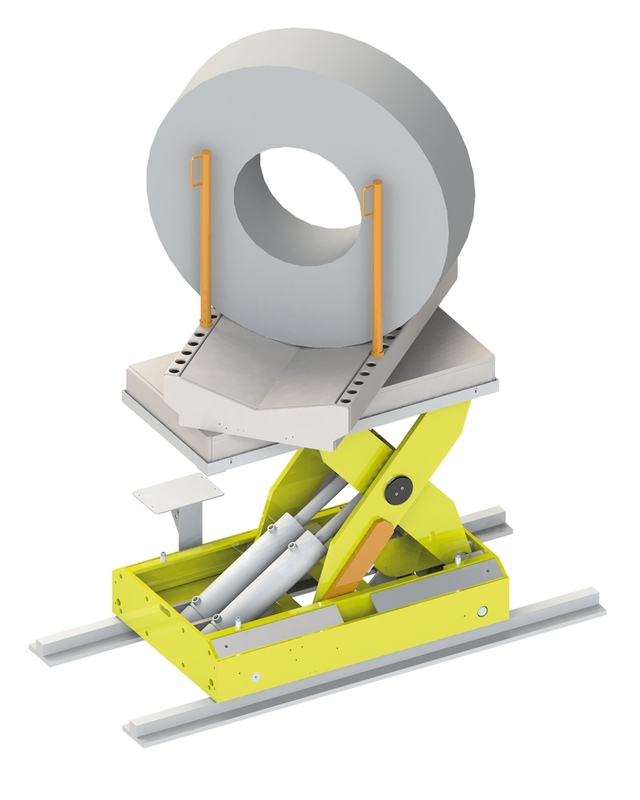 Coils can be loaded onto the Multi-Coil ® store while the line works. 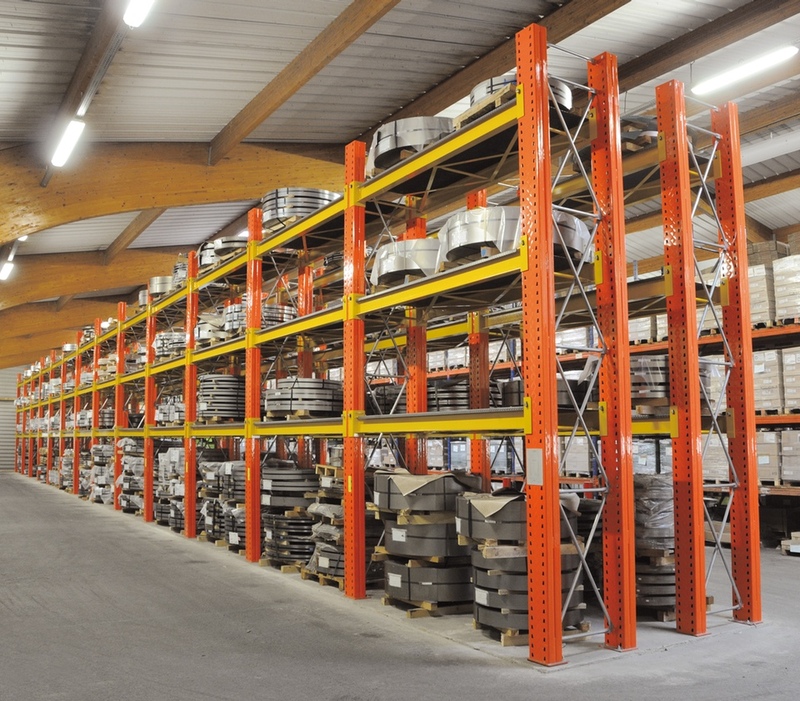 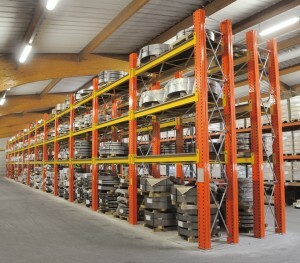 The Coil store can move long distance straight to the coil storage area.